Service: The HCM team of support technicians, specifically trained for this program, are responsible for servicing and repairing the fare kiosks, card validators, and all other equipment, hardware and software related to the program. 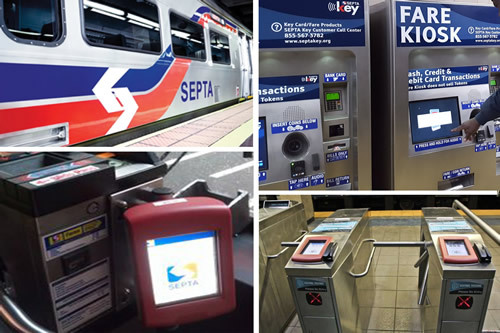 Description: SEPTA is introducing a New Payment Technology called “SEPTA Key,” a technologically modern fare payment and collection program to encompass all of its transit system. This project involves new turnstiles, fare kiosks at transit stations; card validators installed on all transit systems; and creation of new fare payment options including reloadable SEPTA Key fare cards.